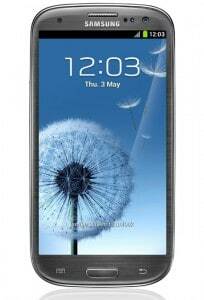 There are a few methods for rooting Galaxy S3 I9305, but one of the best ways to do it is by installing an Official Stock ROM that’s been pre-rooted. This way you know that the binary flash counter will not increase and also the red exclamation mark will not appear at boot up. Also it’s faster than installing the stock ROM and then rooting it separately. Jelly Bean XXBM5 is the latest Jelly Bean 4.1.2 released for Galaxy S3 I9305 and you will be able to install its rooted version. The Jelly Bean 4.1.2 XXBMB5 ROM has no mods no anything, It’s fully stock ROM except it is rooted, DeOdexed and Zipaligned. This gives a clean ROM with system access. You can further install a Custom Recovery on your Galaxy S3 I9305. Looking for more rooting methods? Read more about root for Galaxy Note 3 and check out the steps there. Before proceeding with the installation Guide, you have to meet some requirements. You have to make sure you have the USB drivers for Galaxy S3 I9305 installed on your PC. You will have to download and use ODIN, which if not used correctly can brick your phone. Make sure you only install this on Galaxy S3 i9305 LTE. Then make sure KIES is not working while using ODIN. Proceed on your own risk, we cannot be held responsible for anything. Download Odin from Here. Extract the content in a folder. Download the pre-rooted firmware from here. Extract the content of the archive until you get a .tar.md5 file. Turn off your device. Start Odin on your PC. Turn on your device in Download Mode. Press Volume Down + Home + Power simultaneously. Odin should now recognize your device by displaying the yellow square in the left upper corner. Click on PDA and choose the .tar.md5 file you extracted from the archive at step 2. Make Sure Re-partition is NOT checked in ODIN. Click on Start. Wait for ODIN to finish installing the ROM. That’s it. Now you have a fully rooted and DeOdexed Jelly Bean 4.1.2 ROM installed on your Galaxy S2 I9305.